I had a few misconceptions about CBD prior to trying it. A friend of mine was vaping it across from me at a pub table, and after innocently asking what her e-liquid was, my curiosity was piqued. I’ll admit to being slightly disappointed when she responded “Not really,” before going on to explain that it helped her with stress and anxiety but didn’t really give any sort of “high.” I knew CBD e-liquid was legal – or at least, I thought I did because I’d seen it for sale – but other than that I didn’t know much at all. After some research online, I found many other people claiming similar benefits to my friend. Surprisingly, there were also a few stories – like that of Charlotte Figi – that seemed to attest to some benefits for serious health problems, and there was some hard evidence to back it up too. I’d tried a few puffs of her vape pen, but the more I learned, the more I was interested to give it a proper go for myself. But finding reliable information about CBD isn’t easy. Even answering seemingly simple questions like “Is CBD legal?” is surprisingly difficult, and the wealth of information on what it is and what it does quickly gets complicated. So what is CBD? What’s in CBD e-liquid? Can you vape CBD oil in a normal vape pen? Are the claimed medical benefits really backed up by science? Will you get in trouble with the law if you try to buy it? 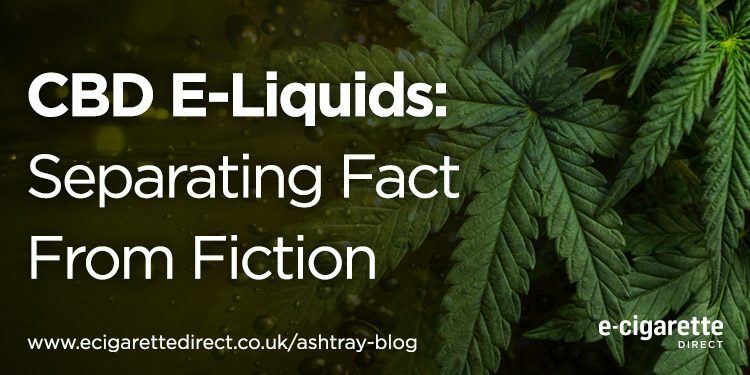 We took a closer look to bring you the real facts behind CBD e-liquids and what you might be vaping. Does CBD or CBD oil get you high? As one of the non-psychoactive compounds found in cannabis, CBD is unable to get you high; as we’ve pointed out, the psychoactive component that makes people feel the buzz is THC. The reason for this is a little bit complicated and relates to how CBD interacts with the main receptors in your body’s cannabinoid system. The short version is that while THC directly interacts with the main receptors (called CB1 and CB2), CBD’s effects appear to be indirect, which impacts how they function without directly stimulating them. CBD also seems to increase the levels of the natural endocannabinoids in your body, because it impairs the enzyme which ordinarily breaks them down. The simple answer is still that CBD is not psychoactive and won’t get you “high,” but getting high is not the goal of using CBD anyway. So, why (and how) would you vape it? Let’s talk about the potential medical benefits of CBD first, which has become an increasing focus for studies and trials. The potential medical benefits of CBD gained a lot of attention through the story of Charlotte Figi. Charlotte suffers from a type of epilepsy called Dravet syndrome, and at the worst, her condition meant that she suffered from a staggering 300 seizures per week. Her doctors had tried everything, and her parents were at their wits end. In desperation, her parents decided to try CBD oil as an alternative treatment. As compelling as Charlotte’s story is, we all know that anecdotes aren’t the same as hard scientific evidence. Thankfully, there has been more objective research into CBD’s potential to reduce seizures. So does CBD really work for seizures? In 2014, researchers reviewed the available evidence and concluded that there wasn’t enough data to draw a firm conclusion on whether it’s useful. However, that was three years ago, and studies conducted since then have offered some cause for optimism. One example study looked at the efficacy of CBD in 137 patients with severe, treatment-resistant epilepsy. It found that the median number of motor seizures dropped from 30 per month to about 16 after three months of treatment. Another study from Israel followed very similar methods, and found that 89% of 74 patients reported less frequent seizures following treatment. Around 52% had half the number of seizures or even fewer on CBD treatment. Similar results were obtained from a study conducted at the University of Alabama, where about half of patients responded positively after 6 months. Finally, a 2017 study looked at Dravet syndrome (the type Charlotte Figi suffers from), using a randomized controlled trial design in 120 children and young adults. This is higher-quality evidence than the other studies mentioned above (which weren’t placebo-controlled), but the results were similar: the median number of convulsive seizures reduced from 12.4 to 5.9 over a 14-week treatment period. However, side effects such as vomiting, diarrhoea, fatigue, fever and drowsiness were much more common in the group treated with CBD. If you’re confused, you’re not alone. But this is typical when it comes to the evidence on CBD. It’s hard to study because of issues surrounding legality, and the research tends to have small numbers of participants and isn’t always high quality. However, the results for treatment-resistant seizure disorders are pretty promising. In general, CBD seems to work despite some side effects. With this in mind, even though more evidence is needed, the FDA has allowed “compassionate use” of CBD (specifically GW Pharmaceuticals’ CBD product, Epidiolex) at some epilepsy centres in the US. 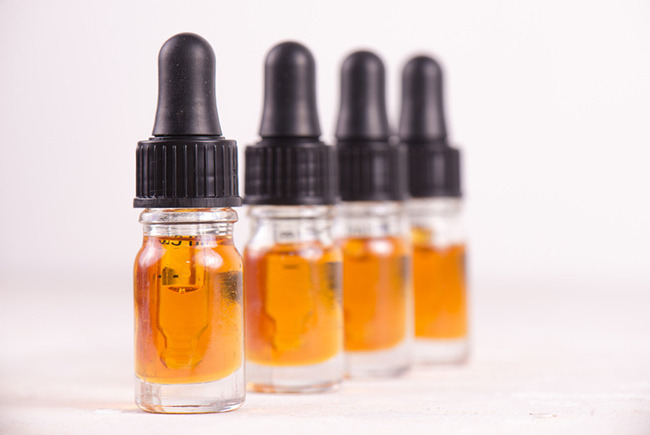 Although most of the interest in CBD’s medical benefits is focused towards reducing seizures, most people considering vaping CBD e-liquid won’t be using it to reduce seizures. Anxiety is a much more common issue which may be helped by CBD, and there is a little bit of evidence on the topic we can take a look at to see if it’s likely to work. Overall, the evidence from animal and human studies suggests that CBD does have benefits for anxiety. One example study looked at the effect of CBD in 12 generalised social anxiety disorder sufferers, while 12 others were given a placebo. The study revolved around a simulated public speaking task, and found that CBD treatment was effective at reducing anxiety in people undergoing the task, compared to the placebo group. Again, the evidence here isn’t rock-solid, but on the whole it seems that using CBD for anxiety could be a valuable approach. Another reason you may be considering using CBD for medical purposes is for the management of pain. Studies suggest that THC – the psychoactive component of cannabis – is useful for pain when combined with CBD, but overall it seems like THC is mainly responsible for the effects. However, there is some other evidence that CBD is good for neuropathic (nerve) pain and pain related to inflammation. Without THC, it’s unlikely to replace your pain medication unless you have specific types of pain, but there is some potential for CBD and pain. It’s worth trying provided you confer with your doctor about your options and the role CBD could play in your treatment. However, if you live somewhere where cannabis is legal for medical or recreational purposes, it’s probably better to use a combination of THC and CBD to treat pain (again, pending advice from your doctor). There are many other conditions people claim will be helped by CBD. In general – and as you might expect given the studies we’ve looked at so far – there isn’t too much evidence to recommend CBD in other cases, although there are positive signs. For example, there is some evidence that CBD could be an effective treatment for general psychoses and schizophrenia, and evidence from animal and cell models suggest that CBD could have positive effects on diabetes, the heart and blood vessels and even cancer. However, it’s crucial to note that these are areas of ongoing research and we’re far from establishing that these results translate into positive effects in the real world. 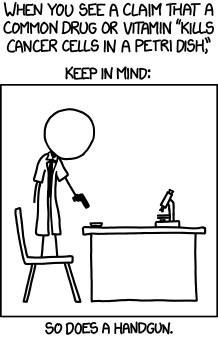 Cell studies and animal models don’t tell you enough to determine whether or not a treatment would be effective or even wise in real humans – as this webcomic deftly points out. You would be wise to double-check the legality of CBD where you live before you consider purchasing it. Keep in mind that even where CBD is legal, products which also contain THC probably aren’t. The UK: Legal for use both recreational and medical, providing products only contain CBD, not THC. The MHRA released a statement in 2016 noting that vendors have to pull their products from the shelves or comply with regulations set out in the Human Medicines Regulations 2012 by December. For CBD products that don’t make medical claims (they’re often sold as food supplements), there shouldn’t be an issue. However, the legal situation is a little confusing. While CBD isn’t explicitly outlawed, it’s rarely addressed at all in law, and in cases where there are even traces of THC (which will be most cases) it could be argued that the finished CBD product is banned under the same rules that apply to cannabis (the 1971 Misuse of Drugs Act). People often cite EU regulations to say that products with less than 0.2 % THC are permitted, but unfortunately the rules actually relate to hemp rather than CBD. If – in theory – you had an issue, you could claim you didn’t know there was THC in there, but then the legal arguments get a little complicated. 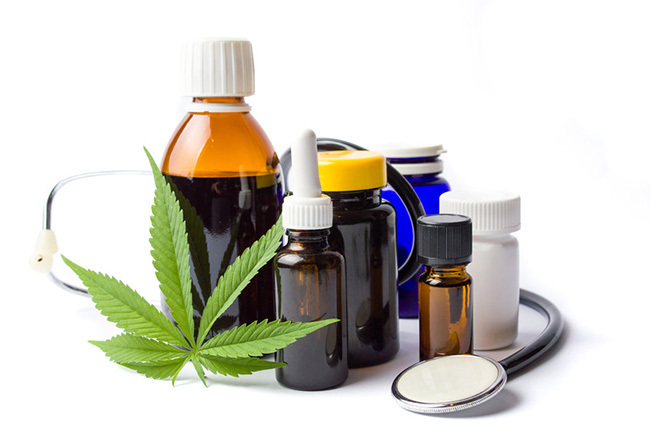 However, the cannabis law reform group CLEAR argues that CBD is absolutely legal provided the seller doesn’t make medical claims, although they don’t address the potential issue of trace amounts of THC. Regardless of the nuances, it’s safe to say that enforcement of any particular law pertaining to CBD is not a priority. 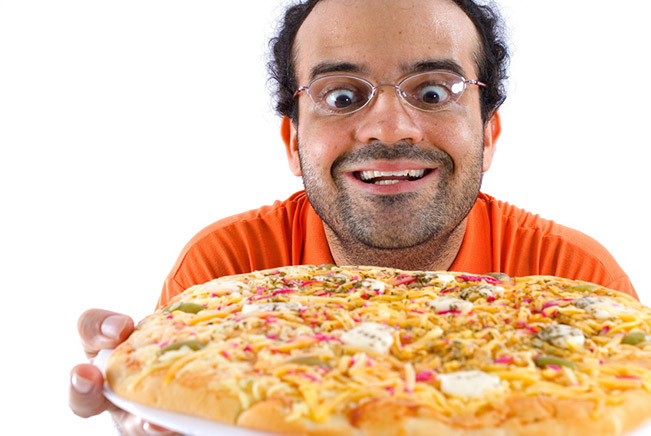 They don’t contain any THC – be sure you read the ingredients before ordering online! They have a licence IF advertised for medical benefits. The USA: A High Times article explains the legal status of CBD in the US in detail, but unfortunately there is little clarity across the pond either. The problem there revolves around the definition of “marihuana” (which uses this now-antiquated spelling) in US federal law, which basically includes any part of the cannabis plant or any extract that can contain substantial amounts of cannabinoids. 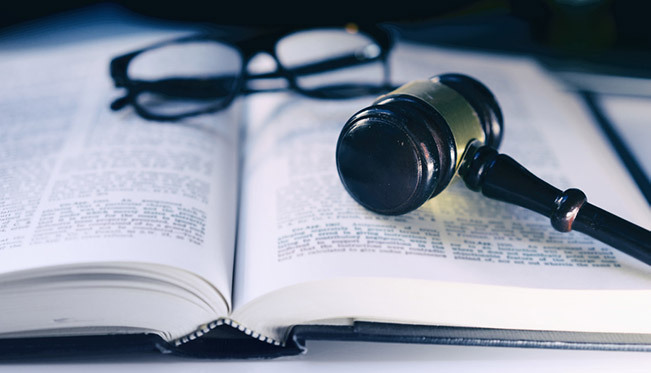 Many people selling and defending CBD oil cite various laws to claim it’s always legal, but – much like the UK – this often depends on misinterpretations of the complex legal reality. Therefore, if there exists a cannabis plant, regardless of its THC content, anywhere it is grown, the DEA considers it “marihuana,” unless it was a hemp plant grown by a university or state agriculture department. Whatever you extract from a hemp plant is “marihuana,” except what you extract from stalks and seeds, which the DEA says couldn’t possibly be CBD, unless that came from resin sticking to the stalks and seeds, and all resin from anywhere on any cannabis plant is “marihuana”. The good news for US CBD users is that state law is often very different. In the same way as you can buy marijuana for recreational use in Colorado and other states despite it being a controlled substance at the federal level, CBD is allowed under some circumstances in 44 states. Only Idaho, South Dakota, Nebraska, Kansas, Indiana and West Virginia take the “all CBD is illegal” federal approach to the issue, but as in the UK, enforcement doesn’t seem like a priority. If your state allows cannabis to be used medically or recreationally, CBD is allowed too, but if your state is one of the 16 with “CBD-only” laws, it may be difficult to source legally even if you’re technically allowed to possess it. Unfortunately, there is no short answer to the question of the legality of CBD in the US. The best advice is to check your state laws, although chances are, you won’t run into issues if you use or possess CBD. 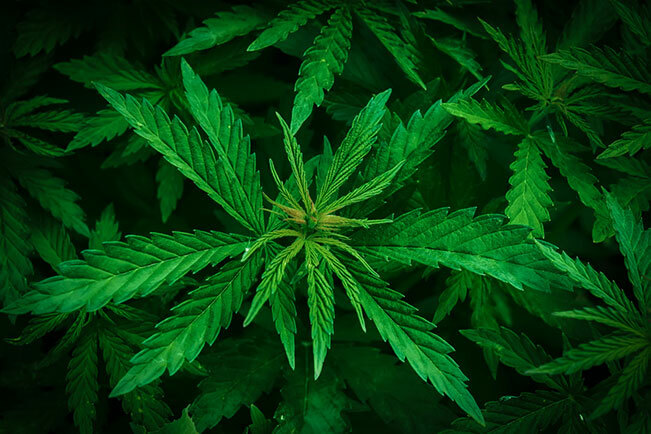 India: Cannabis and its derivatives – including CBD – are considered an illegal substance in India; some allowances are made for registered shops selling bhang, a traditional cannabis drink. Australia: Just like everywhere else, the law surrounding CBD in Australia is a little confusing. According to the Australian Hemp Party, cannabidiol “in preparations for therapeutic use containing 2% or less of other cannabinoids” is classed as schedule 4. Based on this, depending on where you find yourself in Australia, you should be able to find CBD products legally, though you might need a prescription first. Hemp-derived CBD oil used to be sold for “external use only” as a sort of loophole (where stores claimed it wasn’t to be ingested but knew full well people did ingest it), but now hemp oil has been legalised for human consumption. This should make it much easier to find legal CBD oil in Australia, provided it is extremely low in THC. The first in-depth study on CBD and vaping appeared in 2015, carrying the word-heavy title: A protocol for the delivery of cannabidiol (CBD) and combined CBD and ∆9-tetrahydrocannabinol (THC) by vaporisation. For the study, “Purified THC and CBD (40 mg/ml and 100 mg/ml respectively) were loaded onto a liquid absorbing pad in a Volcano® vaporiser, vaporised and the vapours quantitatively analysed”. Preliminary results found that the highest dose effectively vaporized is 200 mg of CBD heated to a temperature of 230°C / 446 °F. Most cannabis vaporizers can operate at this temperature, although it may be at the upper end of the available range. Inhibition of the metabolism of drugs by the liver2. What people generally know as “cottonmouth” – a sensation of dry mouth, which is due to the cannabinoid receptors found in the saliva glands. Low blood pressure and lightheadedness. CBD is known to cause reductions in blood pressure, and while this could potentially be a positive effect (for people with cardiovascular issues), it could also cause problems if you already have low blood pressure. It can also lead to lightheadedness. Drowsiness. At higher doses, the effects of CBD can lead to drowsiness. If you have this issue, the best advice is to reduce your dosage of CBD. Increased tremors in Parkinson’s sufferers at high doses. However, the study this is based on only had five participants, and another study (with a similarly low number of participants) didn’t find issues. However, this is something to keep in mind. According to the 2011 study, CBD doesn’t cause changes in food intake (also called “the munchies,” common with THC), doesn’t cause disruptions in body temperature or heart rate and does not affect psychomotor functions in any way. There’s a huge range of THC and CBD-based products out there. CBD or THC oil with coconut oil bases are popular, as are ones using hemp oil as a base, but you’ll also run into CBD e-liquid. It gets confusing – especially to a newcomer. What’s the difference and can you vape them? CBD E-Liquid: Like regular e-liquid, CBD e-liquid is primarily composed of propylene glycol (PG), vegetable glycerine (VG), food flavourings (technically optional, but very common) and the active ingredient, which in this case is CBD rather than nicotine. As all vapers know, PG/VG mixtures can be used in a vape pen or mod without issues. The CBD in many of these products comes from CBD “isolate,” which is a purified form of CBD that contains no other components, although some are “full spectrum” extractions that include other cannabinoids (not including THC, which is definitively illegal). 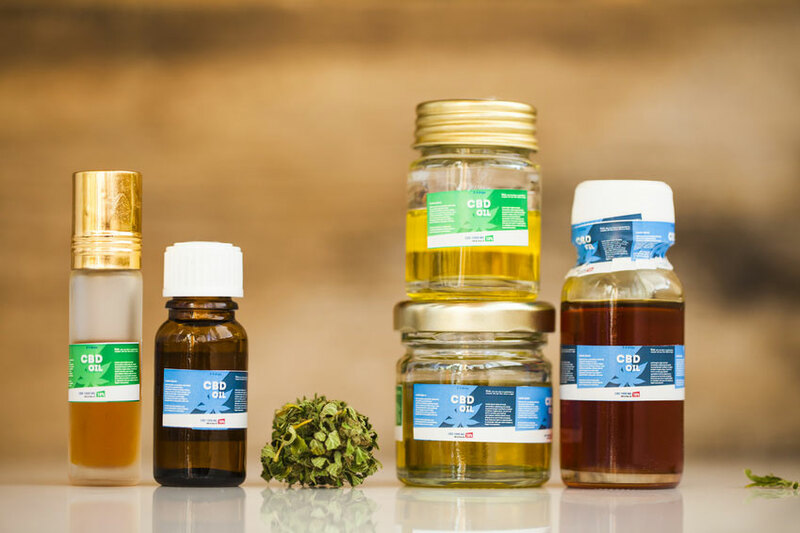 CBD Oils: As the name suggests, CBD oil is CBD diluted in an oil, rather than the alcohols (PG and VG) used in most e-liquids. This is often hemp oil, but other types of oil such as coconut oil can also be used for CBD oil. These require specialised devices to be used in order to effectively vape them. Lipoid Pneumonia: Is Vaping CBD Oil a Risk? Vaping fatty oils could lead to lipoid pneumonia, regardless of the method you’re using to vape it. This was pointed out by the founder of Bloom Farms, who strongly advised vapers against vaping coconut oil products, and Dr. Farsalinos has issued similar warnings with respect to oil-based e-cigarette flavours. The same is true for CBD oil that uses hemp oil, olive oil or any other type of oil as a carrier. Lipoid pneumonia isn’t a concern for e-liquid vapers because it’s really composed of alcohols (PG and VG) not oils. Essential “oil” is a bit of a misnomer because they aren’t lipids (so essential oil flavourings in e-liquids aren’t a concern for the condition), but hemp oil does contain fats and so inhaling it presents a risk of lipoid pneumonia. This paper explains a lot about lipoid pneumonia, if you’re interested, but the short version is that it’s a very rare condition that usually affects older people. 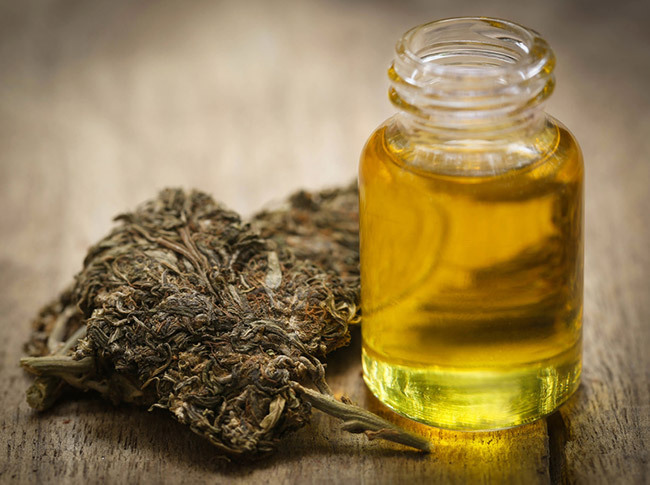 However, there has been at least one case of lipoid pneumonia directly linked to cannabis oils, which the individual inhaled daily for 10 years. This blog post covers the risks of lipoid pneumonia in relation to CBD oil in particular. Some argue that coconut oil (sometimes used as a natural carrier in CBD oils) isn’t a cause of lipoid pneumonia, because the shorter length of the molecules (compared to longer-chain fats) means that it won’t cause a problem for the lungs. Unfortunately, the issue isn’t exactly easy to investigate. People cite sources that don’t actually address inhalation, inaccessible text books and websites with clear bias and the same lax approach to providing references for their claims. After hours of research I’ve yet to come across a scientific study that attests to the safety of inhaling oils of any type. Conversely, it’s easy to find case studies of people developing issues following the inhalation of oils. To be clear, I am not saying that inhaling coconut oil is definitely dangerous. The problem is that despite a lot of discussion, there is very little clarity on the issue and even less reliable evidence to work from. You’re free to research the issue yourself and make your own mind up, but I strongly advise checking the sources of anybody claiming that coconut oil is safe to inhale prior to making your decision. The only silver lining is that even if inhaling CBD oil or coconut oil is dangerous, lipoid pneumonia is a very rare condition. Cannabis oils are not new, and yet there has only been one related case of lipoid pneumonia related to them, and that happened after a decade of daily use. Personally, I will avoid inhaling oils for this reason, but if it means avoiding smoking you may judge the risk to be worth the benefits. So if you’re interested in trying CBD vaping, where should you go? What type of device should you get? Plenty of options are available on the market: In most cases, you can walk into your nearest tobacconist or head online and find hundreds of options. There are several UK and US-based companies which offer CBD e-liquid, and many which offer oils too. The main thing to look for is the ingredients used in the product. For example, some suppliers use coconut oil as their carrier, and others use hemp seed oil. These oil-based products carry a potential risk of lipoid pneumonia if inhaled, but you can consume they by adding them to food or simply dropping some under your tongue. If you’re looking for CBD e-liquid to vape, there are many companies that mix CBD with PG and/or VG so they can be vaped in ordinary devices. Love CBD is a good example of such a company, offering lemon and lime CBD e-juice and mixed berry, both available with either 100 to 200 mg of CBD in a 10 ml bottle. Unlike with traditional e-liquid, where the nicotine level is shown per ml, in CBD e-liquid, the value shown is usually the total content of the bottle. In the example above, 100 mg would be 10 mg/ml, and 200 mg would be 20 mg/ml. When using CBD oil or e-liquid exclusively for health reasons – physical or mental – you’ll also want to run this information by your doctor and find out what they think about its use for your condition. Be aware that in some areas where CBD-products are legal, products containing trace amounts of THC might not be legal under the same law. Again: Check with your state, check with others, and check with your doctor. Always make sure that the products you buy are high-quality, pure-CBD. Just like when you’re shopping for an e-liquid, it’s best to opt for companies that offer test results to ensure you’re getting what you pay for. For CBD e-liquids, test results will usually show the content of CBD and other cannabinoids in the mix, and often also list the quantities of various “terpenes” (which provide the characteristic aroma of cannabis) and show the absence of contaminants. Looking for lab tests and checking the results is a reliable way to make sure you’re getting pure CBD, but the CBD subreddit lists some reputable, vetted companies on the sidebar. You should still check customer reviews and ideally check out lab test results, but this is a good way to save time and effort if you want to find a reliable company without needing to do as much leg-work. Is Hemp-Derived CBD as Good as Cannabis-Derived CBD? There is a lot of dispute within the CBD community about the benefits of hemp-derived CBD vs. CBD obtained from high-CBD strains of cannabis. Many claim that hemp-derived CBD is lower quality and won’t be as pure or high in CBD compared to that taken from cannabis. However, CBD is CBD, no matter where it comes from. If you buy a CBD e-liquid with 20 mg/ml of CBD, it makes precisely zero difference where that CBD came from, provided both products have lab tests confirming that they’re accurately labelled and free from contaminants. Some people argue that because more hemp has to be processed to produce the same amount of CBD compared to high-CBD marijuana, then the “bio-accumulation” of pesticides or chemicals from soil could impact the quality of the product. Again, lab results are very valuable when it comes to making a decision based on this, and reputable companies go to a lot of effort to produce a pure product from either source. More importantly, from a practical perspective, hemp-derived CBD is cheaper to produce and much less likely to contain legally suspect quantities of THC. 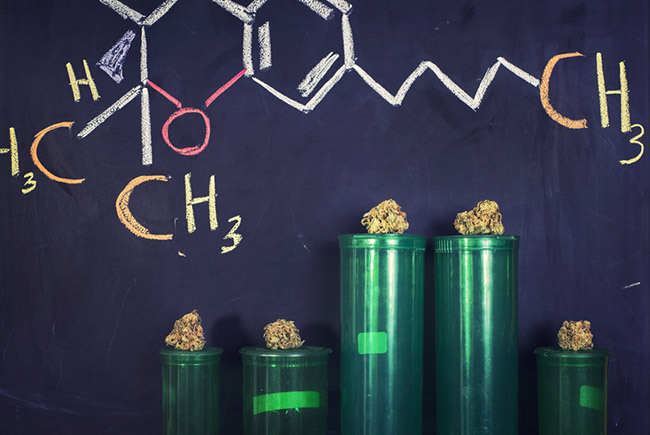 In short, while you could certainly argue that CBD derived from ordinary cannabis plants is likely to be safer than hemp-derived CBD, the differences aren’t likely to be significant, and hemp-derived CBD is both easier to find and cheaper. Now, let’s talk about what you can’t use in an ordinary electronic cigarette: cannabis oil. And that’s not just because of legal reasons (after all, you may be in a country or state where it is legal to use cannabis). Oil derived from an ordinary cannabis plant will get you high. Your standard e-cig or vape mod (as opposed to vapourisers specifically designed for use with cannabis) is not designed to handle this oil, and it’s likely to damage or clog your e-cig. That doesn’t mean that you can’t vape cannabis, or even hashish oil, but most people who do use cannabis vaporizers, which are not to be confused with e-cigs. These are often designed to handle “dry herb” (i.e. cannabis in the form of plant matter, like buds) which has been finely ground up, but some devices can support oils or waxes too. If you have CBD oil (rather than e-liquid) you can use a device suitable for “concentrates” if you do want to vape it. If you’re going to vape cannabis oil or even CBD oil, you should ensure your device is capable of supporting it. Using thick oils or concentrates in an ordinary e-cigarette is a pretty much guaranteed way to damage your coil. Our personal recommendation would be to avoid vaping oils at all, particularly over the long-term – owing to the risk of lipoid pneumonia – but ultimately the decision is up to you. Do you have a job which involves drug tests? These tests are a growing concern for many professionals who fear they might face the axe at work after a puff of CBD vape juice. According to “Does Using CBD Hemp Oil Result in a Positive Test for THC” on Leafly, the likelihood of a positive drug test for THC when you are on CBD treatment is “highly unlikely”; a conclusion confirmed by many other sources including Elixinol, Healthy Hemp Oil and Zamnesia. Most drug tests will not show a positive result for CBD, simply because drug tests are testing for the psychoactive component in cannabis (i.e. THC) and not CBD. You should be fine when vaping pure CBD-oil. Still, some sources caution that ingesting higher dosages of liquids containing trace amounts of THC could lead to a positive drug test for the compound. If in doubt, it’s probably better to avoid or, if you urgently need a solution for a medical condition, check with your employer first. Have you thought about buying CBD e-liquid for your vape, or have you already tried it? Get in touch and let us know your experience. Can E-Cigarettes Cause Lipoid Pneumonia? Vaping Cannabis: Is it healthier, and what are the effects? I’m interested in vaping CBD to help me relax and sleep better. One thing I would like to know, is it best from a pen style or a sub -ohm device? or does that just depend on the PG/VG content of the liquid? Thanks for sharing detailed information regarding cbd. Actually i am using cbd products for a period of time it has benefitted me a lot. It works very well in reducing anxiety, relieving nausea, helps fight cancer, and promotes cardiovascular health.